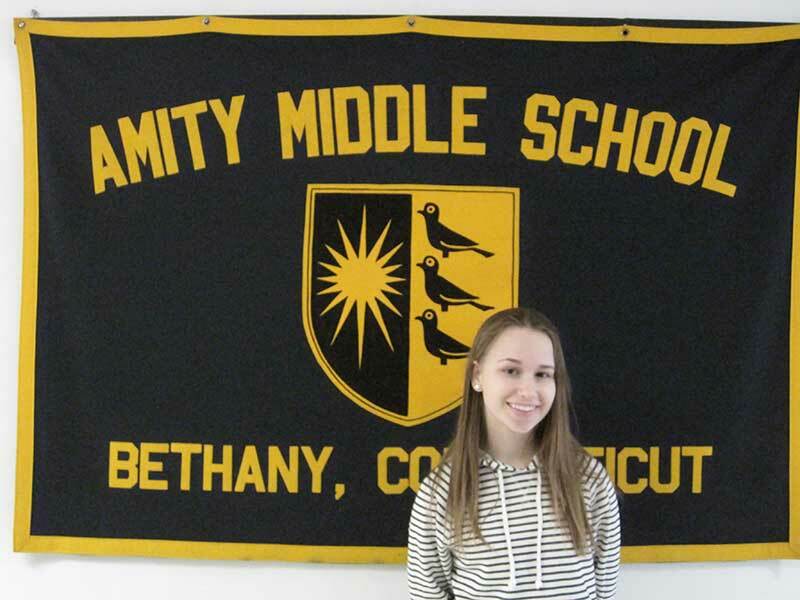 Amity Middle School in Bethany has a “Character of the Quarter” awards program. 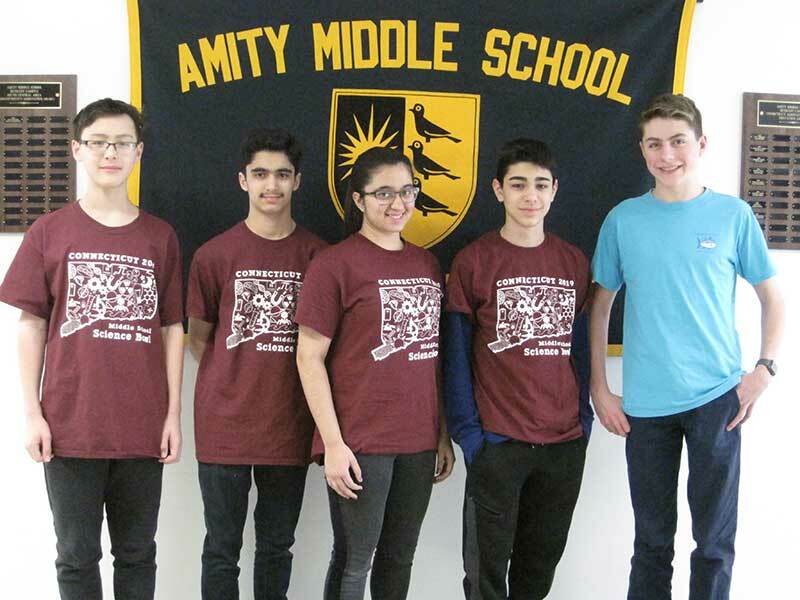 Each marking period students are recognized for one of four traits: Accountability, Motivation, Independence, and Trustworthiness. Students from each team are selected to receive this honor. They have a special breakfast at the end of the year and are presented with their award certificates. The character trait for the 2nd quarter was “Motivation”. 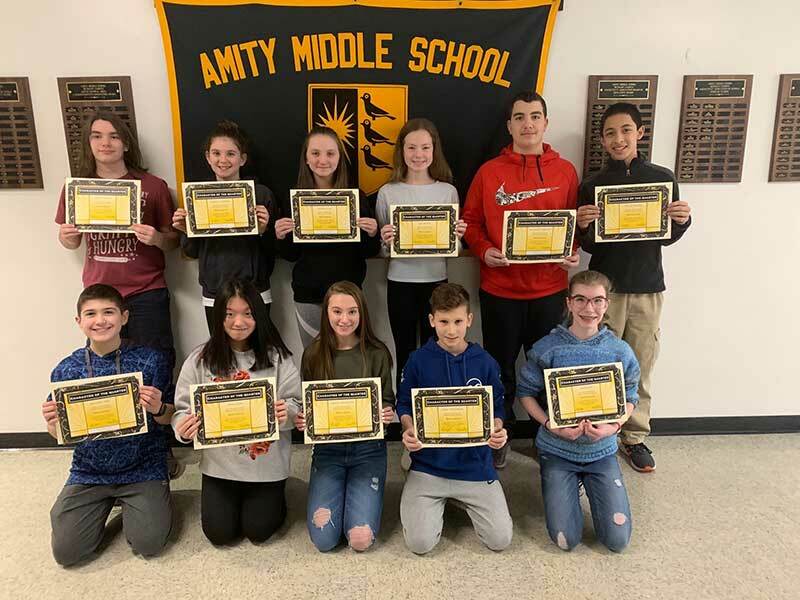 The students who recently received the “Character of the Quarter” award are: (standing) Connor Hallstrom, Adam Florkiewicz, Michael Coyne, Gabe Tartaglia, (left to right kneeling) Ashley Dorais, Christina Burland, Isabel Barry-Ruiz, Chloe Adzigian, (left to right sitting) Brian Scully, Ethan Lopez. Missing from photo: Camryn Brown and Abigail Ball.